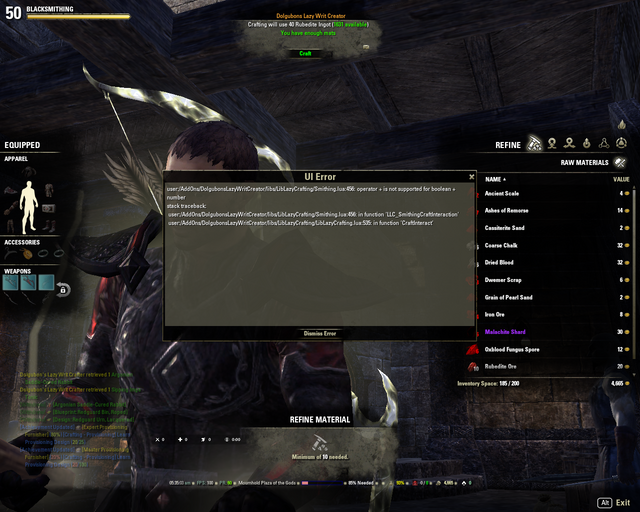 I pick the daily writs, then when i try to craft them, i get the lua error message. Only happens when trying to craft the blacksmith, clothier and woodworker writs. Printscreened, dunno which links will work.